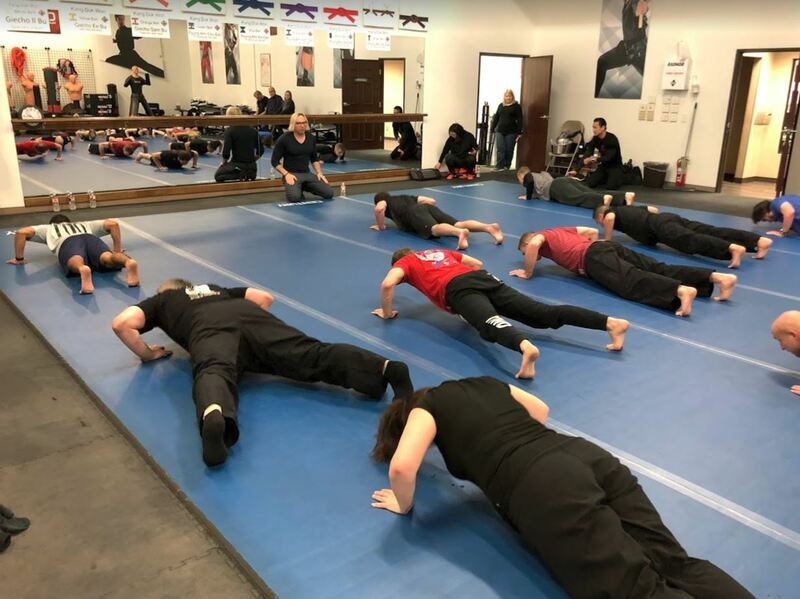 The creator of the Sleek Ninja fitness program speaks from experience – before this celebrity trainer created his program or took on a single star client, his was the first body he transformed. Eric Fleishman was a self-described “weakling.” He began training in martial arts and fitness as a young teen, and discovered his calling. Today, Fleishman, better known as Eric the Trainer, is clearly nothing of the sort. He’s one of those guys who looks like he could effortlessly curl my bodyweight. But you can tell from the way he moves – fluid, almost catlike – that his is a functional fitness. No “bulk for bulk’s sake” here! Want a sneak peak at Sleek Ninja? 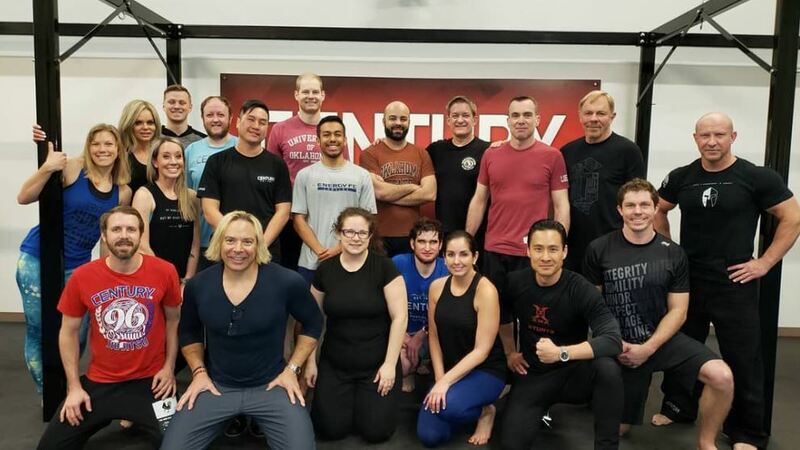 A few weeks ago, Eric the Trainer made an in-person appearance at Century HQ, and lead an hour-long Sleek Ninja class for employees! I jumped at the chance to take it, because who doesn’t want to be sleek? Let alone a ninja!? Here’s how it went! We warmed up with some stretches and yoga-type moves. This is the calm before the storm; the gentle intro that tricks you into thinking the rest of the workout will be easy. The warmup lies. The first exercises were a variant of the leg kickback: on all fours, lift one leg towards the ceiling, pointing your toe up. You the pulse that leg upwards, keeping it as straight as possible. We did multiple sets of left and right, with a final alternating left-right-left set at the end. We ran through several similar exercises, including a sort of side-crunch kick that had us drawing our knees towards our shoulders. However much you think this hurt, it was actually worse. In a good way. This is one of his workout plan’s underpinning philosophies. If the pain it my sides the day after was any indication, it works. We cycled through another set of kicks, and another. 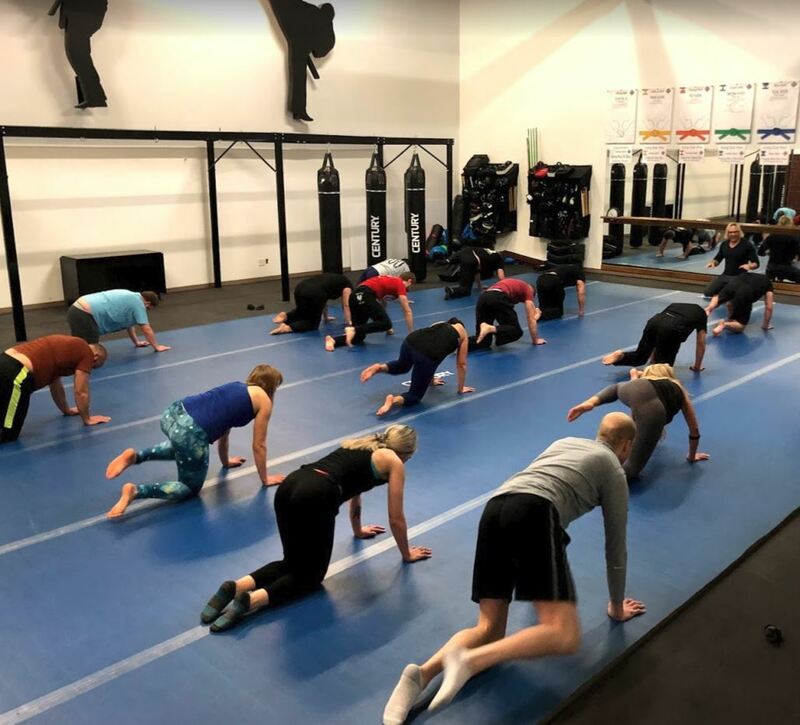 At one point, my friend and coworker Danielle, who had also come to the on-site class, looked over at me and mouthed, “I’m dying.” I would have responded but I was also too busy dying. Thankfully, after the kicks and several sets of lunges up and down the length of the gym, we paused for a few moments to stretch. Then it was on to upper body. I have no up left to push. Finally, we got to the cool down, which is great because GOSH DARN IT I was starting to feel not only the Sleek Ninja training but the legs workout I’d done the previous day. There were more stretches, and I definitely did not go back to my desk and nearly fall asleep. Keepin' it together long enough to look good for the camera. If you’re looking at the pictures from this workout, thinking, “Well, these just look like normal exercises” – don’t be fooled! Yes, they’re “normal” as in, you don’t need a Ph. D to figure out the movements, or complicated machines. But Eric has added little tweaks and touches to each exercise to make them more effective and/or better tailored to your specific body goals. Also, Eric is just a truly, genuinely nice guy. Like I said, the could stack and bench press any two people from the class at Century, but there’s not a shred of vanity in him. 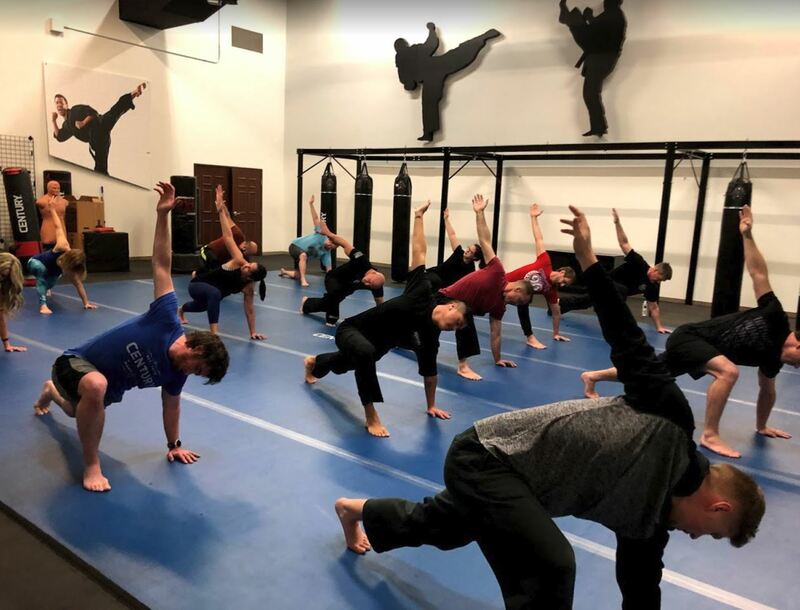 His enjoyment of fitness, both as an interest and in himself, personally, is comparable to the enjoyment and appreciation a high-level master would have for martial arts. (This attitude of humility may, in part, be due to the fact that Eric himself is a martial artist with a black belt in several styles). And I know how time in Vegas adds up – between the buffets and the endless bars (why are there so many bars? ), your body will probably appreciate some time spent engaging in healthy exercise. And after you’ve spent an hour or so working on your Sleek Ninja physique, you may well decide that this would be a great fit for your school. Either way, you have a great workout to gain and nothing (except, like me, some extra padding around your gut) to lose!